Walmart is launching four new private-label apparel brands. There's a men's collection, women's collection, plus-size women's collection, and kid's collection. They look very similar to offerings from ModCloth and Bonobos, which Walmart acquired in 2017. The new brands come at a time when principal competitor Amazon is placing a focus on new private-label clothing brands. Walmart is putting its best fashion foot forward. Four new clothing brands incubated by the world's largest retailer will launch both in stores and online on March 1, according to a press release. George, a men's collection which "brings style, comfort and durability, offered in an inclusive size range." Time and Tru, a women's collection which "includes timely, versatile looks that can be pulled together for women on the go and are on-trend with unexpected details and fabrics that make the classics feel modern and complimentary." Terra & Sky, a plus-size women's collection "with effortless style and a fit that flatters." Wonder Nation, a kid's collection "built with fun, comfort and durability in mind." "We listened to our customers and are proud to deliver apparel choices that meet at the intersection of everything they desire: on-trend styles, comfort and quality, all at unbeatable prices," Deanah Baker, head of apparel for Walmart US, said in a press release. She continued: "These new brands are a thoughtful reflection of current trends and styles, while considering our customers' busy, on-the-go lifestyles." Each line will have pieces that range in price from $5 to $30, and offer apparel, shoes, and accessories. The launch of the new brands was first reported by Bloomberg earlier in February, and according to that report, they are set to replace existing Walmart apparel brands Faded Glory, White Stag, and Just My Size. Trends will be a big focus for the new lines, and Walmart has placed a large focus on making sure the clothing is appropriately fashionable. The lines will be refreshed seasonally to maintain this. The company may have tapped into the expertise of subsidiaries ModCloth and Bonobos to ensure it got the balance just right. Some of the new pieces appear similar to looks from those e-commerce brands. Walmart acquired Bonobos for $310 million and ModCloth for between $50 million and $75 million in 2017. 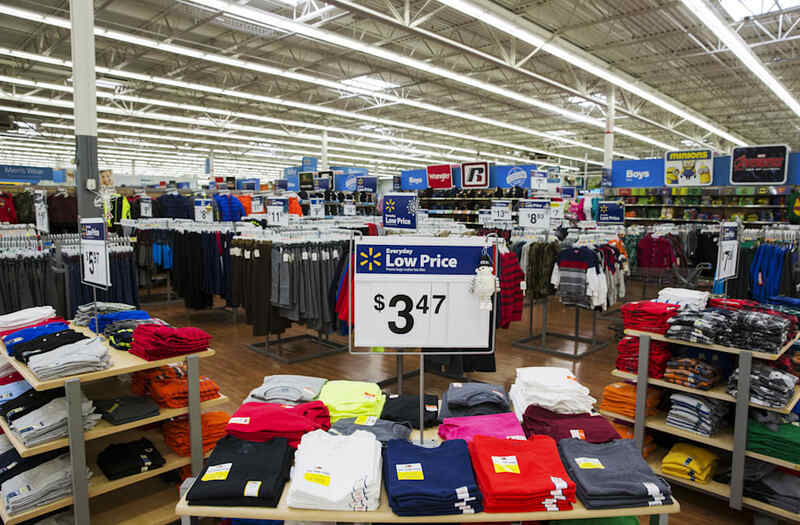 Walmart's new focus on apparel brands comes as it looks to improve its image and move upmarket, especially online. Part of the company's new focus online requires a larger assortment of goods at different price points to avoid selling items at a loss. Rivals haven't been sitting still. Target launched new and refreshed private apparel brands last year. Amazon seems to churn out a new one every month as it tries to take a bigger slice of the apparel market. Walmart says it will also be updating its apparel departments in some stores to go along with its new look and product. New fashion-oriented signage will start appearing in March, and by fall, apparel displays will get upgraded. Some stores will get even more work done, with a new open floor plan and upgraded dressing rooms.